While women have advanced in many arenas, women will never achieve their full potential if they avoid public speaking. Whether it be addressing a crowd at an event or conference or leading an internal meeting, strong public speaking skills are necessary for career advancement. I spoke with Deborah Shames, co-founder of Eloqui, a communication and presentation company based in Calabasas, and author of the new book Out Front: How Women Can Become Engaging, Memorable, and Fearless Speakers. Throughout history, women have been judged by different standards than men (it goes deeper than the recent Presidential elections). It’s not uncommon to hear comments about a woman’s likability, style of address (i.e. “I’m put off by her shrill voice”, or, “She’s too excitable”). And if a woman stands up for what she believes in, she will likely receive comments about how aggressive she is. However, there are areas within our control. According to Deborah, women can confront and correct the self-defeating behaviors that hold them back. Instead, according to Shames, women should have a clear intention of what they want to achieve and tell themselves, ‘the audience needs what I have to deliver.’ And then construct an outline. Think of it as a GPS to keep your speech on track and ensure that you cover your key talking points. The most successful speakers understand their job is to persuade rather than educate. As Deborah explained, “Don’t leave yourself out of your talk. Include ‘I’ statements that give your perspective, like ‘I see… I know… I feel…’ to better engage audiences.” ‘I’ statements will also reduce anxiety, because you always know where you stand on a topic. And rather than getting every word or phrase just right, strive to be conversational and natural. The audience will respond to a speaker’s authenticity. Shames believes that too many women refuse to speak publicly because they believe they’re not an “Expert” or don’t know enough. News flash — we don’t do business with Experts, who can be boring, speak too long, and rarely include the speaker’s perspective. Prior to cofounding Eloqui, Deborah Shames was an award-winning director of film and TV. She founded the only female-owned production company in the San Francisco Bay Area — Focal Point Productions, which she ran for 15 years. 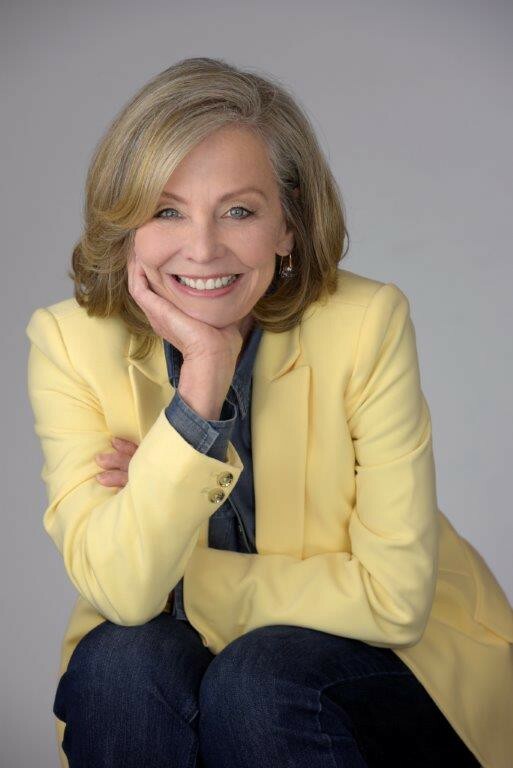 On camera, Deborah directed luminaries including Wendie Malick, Rita Moreno, Danny Glover, and Angela Lansbury. To launch three of her independent films, she formed the video distribution company Deborah Films. Now, Deborah specializes in coaching CEOs and executives to improve their communication and presentation skills. She especially enjoys mentoring young people. And with David, she is frequently engaged as a keynote speaker or trainer for national firms including OneAmerica, Mattel, TD Ameritrade, and law firms such as Sheppard Mullin and Epstein, Becker & Green. Deborah speaks pro bono at educational institutions like UCLA’s Anderson School of Business, the USC Lloyd Greif Center for Entrepreneurial Studies, Pepperdine graduate level classes, and Cal Lutheran to give young people a boost and confidence at the beginning of their careers. Deborah has led a prominent business group in Calabasas for ten years. To learn more about Deborah’s book and work with women’s issues visit www.outfront.biz.